CRM (Customer Relationship Management) software(s) have created a lot of buzz in the business world. 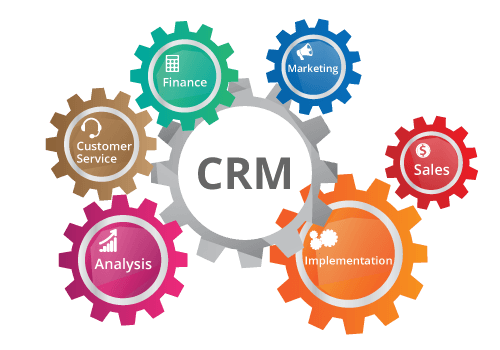 CRM software manages varied business processes, data and information, and factors such as marketing, sales, customer support, feedback, vendors and various necessary reports. It takes care of the overall business horizon, simplifies things and thus saves efforts and time of the company. There are numerous types of CRM software(s) available in the market to suit every type of business. It is suggested that before you take help or assistance from a CRM, make sure you have done a thorough research about it. In this article, we are providing a clear distinction between Salesforce CRM and other CRM according to the users who actually have used these. If you are thinking of implementing CRM soon, then this article is meant for you. Salesforce is cloud based CRM software which means that all the data and the information is not saved on your system but is saved on the cloud server for the users. The interface of this CRM is extremely easy and simple for users. Handles user community actively with the help of Ideas software function and its Radian6 cloud monitor. Maintains all the CRM policies and rules. Does not provide Business Intelligence. No Service Level Agreement is provided. SUGARCRM is known for producing a web-based application called Sugar, available for both commercial and open-source applications. This CRM provides cloud portability which means that user can choose from the public or private cloud. SugarForge community is the most one mature community that delivers a lot of extensions and products. It is not suitable for small businesses price-wise. This lacks effective market goodwill. It has weak points in areas such as business intelligence, customer analytics, predictive analytics and data mining. Microsoft Dynamics CRM is a server-client application which is primarily an IIS-based application. This can be accessed either by a browser or by a thick client plug-in to Microsoft Outlook. This has a very appealing look of Microsoft Outlook. The UI is full of features and easy options to navigate easily. It has a very powerful desktop integration. Microsoft CRM is one very affordable and cost effective CRM in the market. It does not provide a testing environment to the users. This CRM runs only on the IE 7 to 9, with Windows XP or later. Online marketplace called pinpoint is supported but it is strong as compared to other CRMs. ERPs provided under this are not cloud base. Oracle CRM is another cloud CRM that is known for providing features for marketing, sales, and leads. It also takes care of digital tracking, lead scoring, nurture campaigns and distribution of sales-ready leads. This CRM provides the best Business Intelligence (BI) in the cloud CRM industry. This software ensures that data/information can be used and interpreted among multiple dimensions. Customers can easily choose either the multi-tenant hosting option or a single-tenant hosting option. The subscription fee is lowest among all. UI is not appealing and engaging. Lacks in social media and user community. Its mobile CRM solutions support very few devices. Only runs on the Internet Explorer web browser while others run on both IE and Firefox. customer relationship management is the main key to boost your business so many business uses CRM based softwares. It seems that many nonprofits gets confused which CRM is best to them. This post help them to choose which one is good to them. My votes goes to salesforce for nonprofits because it makes easy to volunteer management, donation management and other managements.